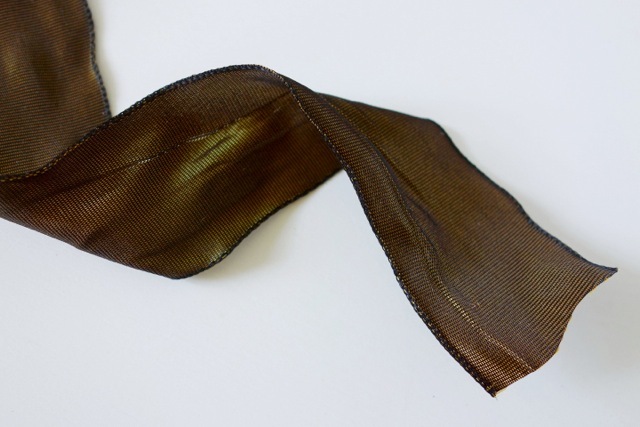 you’ll need burlap ribbon, nice that it comes with finished edges! i know you are wondering who eats pepper pot? that would be my brother who took the photo! the directions are pretty straightforward. 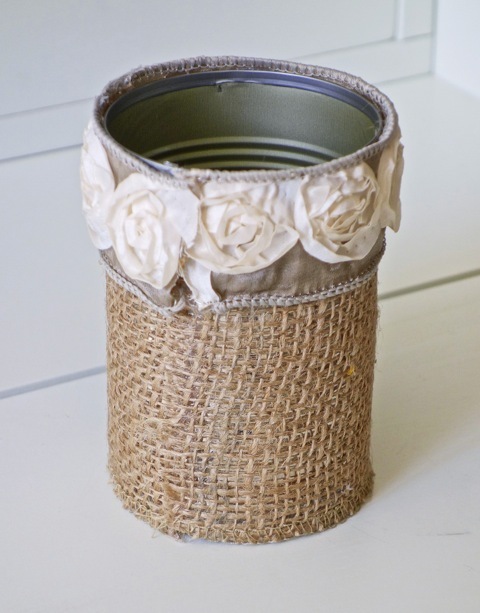 cover the soup can with burlap by gluing (may use a hot glue gun) a line along the top and bottom of the can. your can will look like this. next make a bow and attach a rose from the ribbon on the front. glue the whole ensemble with pearl pins onto the front of the can. that’s it, you’re done and ready to use it for holding pencils, pens or whatever! Very nice! I love burlap and the addition of the flowers was the perfect touch! Very pretty project! Link up anytime to I Made It! Monday. Amanda, Oh gosh, I would love to Link up to I Made It Monday! Thanks so much for the invitation!!! This is so beautiful. I especially love the rose ribbon. I searched my comments and couldn't find your message. Finally I found it in my spam box! So, sorry about the delay in my response. Thanks so much for the kind message about this project. I have had such an amazing response on pinterest, kind of cool. Hope you get around to making it. I just can't get enough burlap either. I have a few more projects in the coming weeks, so check back. Thanks for visiting! grazie, sono contento che ti piace il mio sito web! Love this post! I too am an aspiring DIY Blogger. 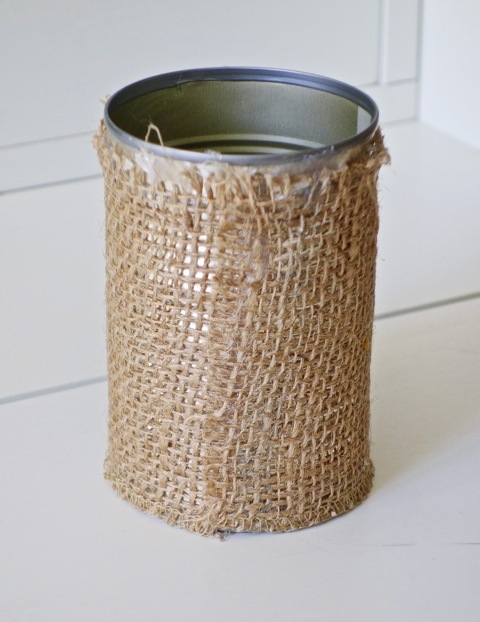 Would you mind if I linked to this post from my upcoming Top 10 uses for Burlap post? Let me know. Thanks for your consideration (i couldn't find your email). Thanks for visiting my website! Yes, you can totally post this on your blog. Glad that you like the project. Good luck with your blog and let me know if you need anything else. Just LOVE these and that it’s made out of a recycled soup tin! The ribbon is just beautiful and perfect for these holders!